If you do not have the time for a Golf School, a great way to work on your game is through private lessons with our staff. All lessons include recorded video analysis that is uploaded to a personal video locker for reviewing after the lesson. This will not only have the video of your before and after swings, but an audio overlay of the time you spend in the hitting stall. All lessons will be either in the hitting stalls which feature the latest in high speed video. Your swings will instantly be available for viewing, and when you want to compare your swings with a Tour Player, we have a library of over 1,600 swings we can use for comparison. When not in the hitting stall, you will be hitting off of great grass tees and favorable wind and hitting conditions for a great learning environment. 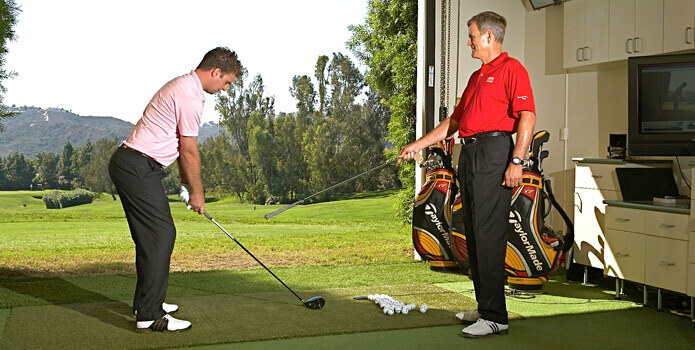 Private hourly lessons are available every day. Call (760) 438-4539 or email info@puterbaughgolf.com to get started.